Rachel Saldana – Essex Realty Management, Inc.
Rachel Saldana is the Corporate Controller for Essex. In this role she is responsible for all of the internal corporate accounting and financial reporting for the company. This including handling all accounting duties for the investment and development projects Essex and its investors has purchased through the years. She is incredibly smart and conscientious and is a tremendous asset for the firm. Ms. Saldana has almost twenty years of experience working in the real estate and construction industries. 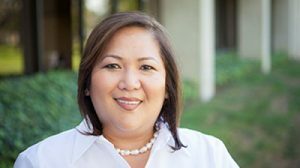 Prior to joining Essex in 2000, she was employed as a Project Accountant by The Irvine Company. Ms. Saldana graduated from St. Scholastica’s College with a Bachelors Degree in Business Management and Accounting.